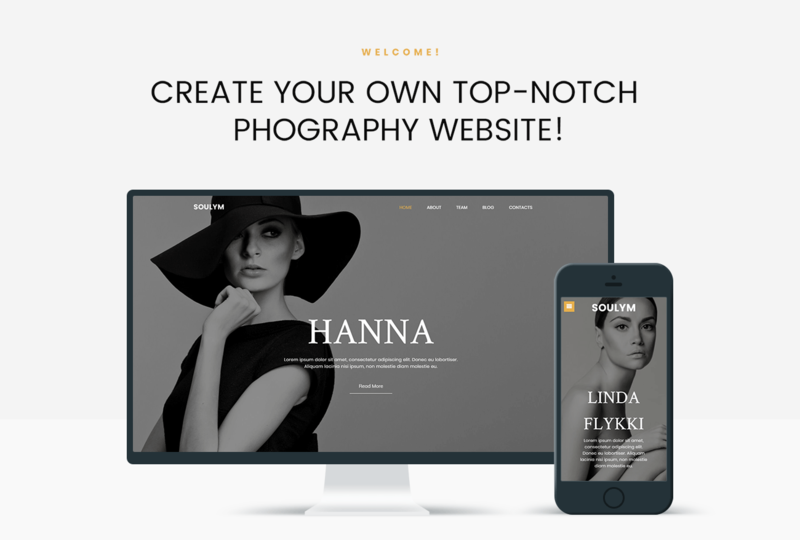 Create a top-notch website showcasing photo services using Soulym theme. 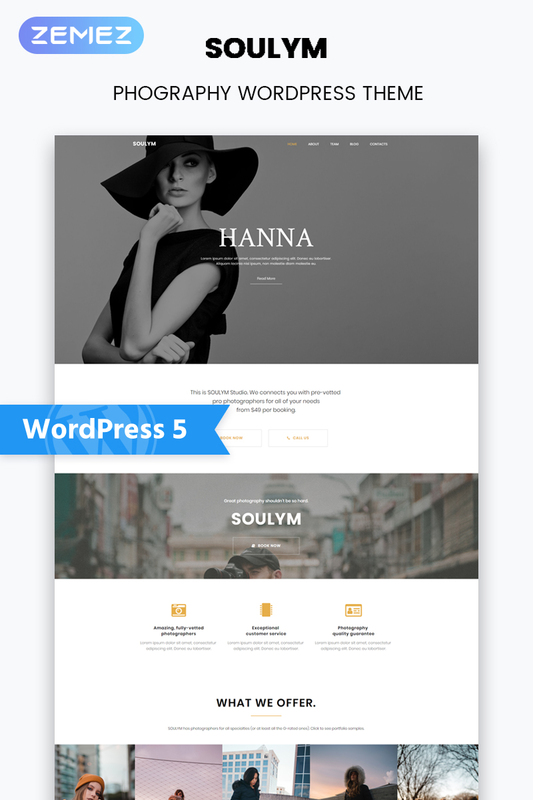 Your website will look stylish and extraordinary with this theme. You will inform about your studio, team members, provided services, add eye-catching images and much more. Moreover, you will be able to customize your website as you wish with the help of powerful Jet plugins for Elementor page builder. With JetElements plugin you will add useful elements to pages and design their appearance without any coding knowledge. Using JetTricks plugin you will apply magical visual effects and animation tricks to pages easily and quickly. You will be able to create custom headers and footers and enrich them with additional functionality using JetThemeCore and JetBlocks plugin. 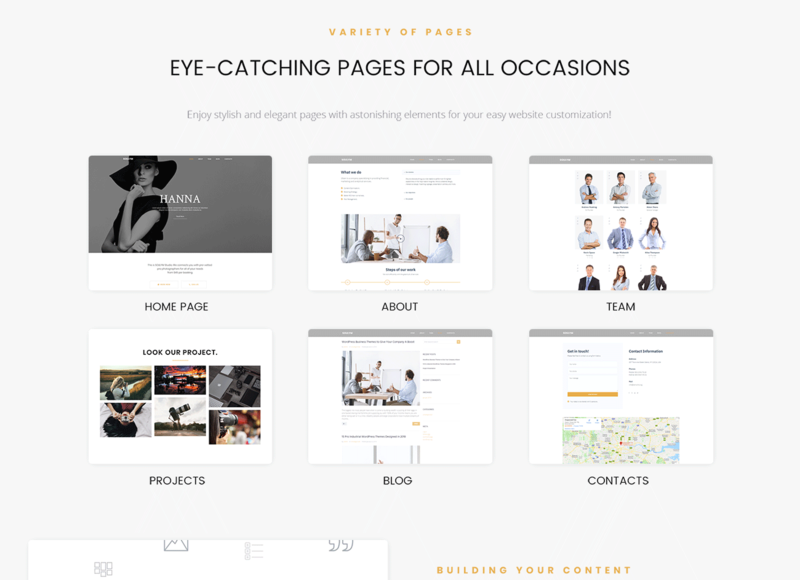 You will organize content into compact tabs and accordion blocks with JetTabs plugin. Promote your photo studio and attract more clients using a fully responsive Soulym theme.